It’s all business at the moment. 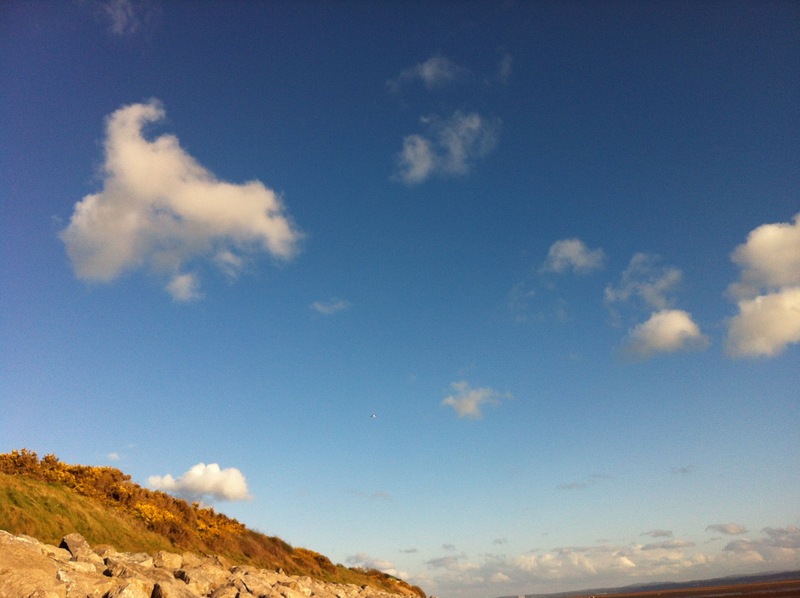 I’m gearing up for a new financial year, a new planning year, a new make-the-organisation-again year at The Reader and I am working on organisational thinking things, which also require writing and reading but not of this readerly-blog-sort. Most of my early morning time is being spent on business books and organisational thinking. Some of that organisational thinking needs poetry, and a poem I often turn to at work is William Stafford’s ‘A Ritual To Read To Each Other‘. There are many copies of the poem on the internet and I’m using the one at The Poetry Foundation. Trying to translate everything I learn from my life in literature into my work as the Founder and Director of The Reader is a difficult task but surely, it is the task for me? If The Reader isn’t made out of reading I don’t know what is. If The Reader’s mission is a reading revolution, what is the post-revolutionary world? A world informed by, shaped by, made new by what we can learn from reading great books. It’s easy to say ‘a world’, but so much harder to make one. In a small way, I want to make that world at The Reader. At some point long ago, when I still worked in a university, I read Wendell Berry’s essay, ‘The Loss of The University’ ( find it in the collection of essays Standing on Earth) and realised what was wrong with literary studies. I don’t have the book here at home (it’s in the office) so cannot check the quotation, but essentially Wendell Berry argues that literary scholars teach students to learn about works of literature rather than from them. I’d not been an ‘about’ student or teacher, but I’d never put my instinct on this into words until I saw the words Wendell Berry used. That was key moment of shocked recognition. Now I carry that formulation with me : don’t learn about it, learn from it. You get the literary, rather than the historical, experience that way. I want to use what I have learned from forty years of reading literature to make a good organisation that does good work, and works well. But the difficulties of organisation-making are immense. Since I’ve been working on The Reader I have developed a massive respect for anyone who gets any kind of business /organisation/ project off the ground. A garden centre, a new building, a plane ticket, the Olympics. Because everything is so complicated, compromises must always be made – plastic bottles or glass bottles? – and short-cuts must be taken, but which short-cut is a readerly organisation willing to take? You’ve deadlines to meet: will you cut out the day’s reading or your one-to-one with a sadly troubled colleague or will you miss the bid deadline and potential income? (Clue: cut the one that will still be do-able tomorrow). Let’s take a straightforwardly contentious issue: what’s fair in terms of pay? This is a massive unsolvable problem and for years I’ve been tempted towards a simple solution: pay everyone the same! But that’s not fair, because some people put in more than others, some shoulder more responsiblility, some are highly valued in the outside-world-markets of skills. And, yes, the organisation must exist within the terms of the outside world, even as things I have learned in my life in literature tell me to build a new and better world. So it’s always a case of compromise and adjust, work out what’s the nearest thing to fair that fits the situation and meets legislation. Or you can just copy what most people/other organisations do. These patterns that others made – from payscales to maternity leave entitlements to meeting agendas to dresscode – are everywhere and are the norm in the world. They may cause massive loss of potential and misdirection. For William Stafford this all begins at a personal, individual level. Do we know each other? Do you know the kind of person I am? I wonder about ‘kind’ here: does it mean ‘type’, or almost ‘species’ ? How well do you have to know someone to know the ‘kind of person’ they are? I try using the phrase – Jane is the kind of person who thinks everyone getting the same amount of money is the answer to pay inequality/thinks eating together at work matters/would like to have a communal song every morning/always wants people to have another chance, right up to the wire/thinks you can use great literature to help build an organisation/will change her mind. We start off at quite a superficial level, possibly (‘if’) not knowing the kind of person we’re talking to and then we hit the word ‘betrayal’. This isn’t merely superficial ‘kind of’ knowing, is it? What we know or are willing to have known matters. The betrayal is only ‘in the mind’ – you don’t say it or let it be seen – but still, a betrayal is a big thing. Like the shrug – you’d think it was not much. You’re just letting something go, can’t fix everything, can’t get everything right. Next thing you know, the ‘fragile sequence’ is broken. Small things lead to big. Bit of a shrug, then someone is in a mess and suffering the patterns of behaviour laid down in childhood – the shouting, the storming, the trauma. These thoughts were already with me when I read Ray Dalio’s Principles over the Christmas break, have been, because of this and other works of literature, with me for years. When I started reading Principles there was the same kind of recognition I had had with the Wendell Berry all those years ago. Dalio’s a money man, a markets analyst and he runs one of the most successful companies in the world. What could he have to offer The Reader, to old pay-everyone-the-same-Jane? Principles begins with the kind of person Ray Dalio is – he wants us to know that before we get into business together. The book is in two halves – parts 1&2 about Ray and the kind of man he is and what he believes about life, and then part 3, work principles. His basic message for me is life is evolution: live, suffer, work out what went wrong, try to fix it. I believe that everything that happens comes about because of cause-effect relationships that repeat and evolve over time. At the big bang, all the laws and forces of the universe were created and propelled forward, interacting with each other over time like a complex series of machines that work together: the strucuture of the galaxies, the make-up of Earth’s geography and ecosystems, our economies and markets, and each one of us. Individually we are machines made up of different machines – our circulatory systems, our nervous systems, and so on – that produce our thoughts, our dreams, our emotions, and every other aspect of our distinct personalities. All these machine are evolving together to produce the reality we encounter every day. It’s a trouble for me that Ray Dalio uses the word ‘machine’ in exactly the same way that it is a trouble for me that George Herbert uses the word ‘God’. I have to use my translating mechanism in both cases, and in exactly the same way – don’t get hung up on it. Just accept he’s different (the kind of person he is) and that he still has a lot to offer me. What has the most to offer? His analytic skills and willingness to arrive at truth are remarkable. See Ray Dalio’s TED talk here. Yesterday I went to Kew Gardens to attend the People’s Postcode Lottery Gathering 2017 – imagine a family and friends party on a large-scale, with third cousins from every part of the country and others flying in from much farther flung places, catch-up chats, meeting new people, delightful sausage rolls, very hot in the conservatory – phew – and instead of the bouncy castle, an inspirational speaker in the form of Jonathan Peach to remind everyone to be the best version of themselves they could be, ‘every day is a best pants day’. That certainly gave me something to think about, and this morning I surveyed my underwear drawer with new eyes. I had set out early from my friends’ place in Highbury by overground train, intending to arrive early – the gathering was to start about 11.00, and Kew Gardens opens at 10.00. I’ve never been there before so was hoping I’d get an hours walk in before the day started to enjoy the Great Broad Walk Border. And so I did! Imagine you are an LFC supporter visiting Anfield for the first time, or a clothes maniac at British Fashion Week. That’s how this gardener felt at Kew, drunk on it, physically light-headed, overwhelmed with delight. Talk about inspiration. The word must be about fresh spirit – I look it up in the Etymological Dictionary. Yes – inhaling, breathing in, being breathed into…I felt the great work of Kew inspiring me like lovely great heady lungfuls of air. I haven’t managed to do for my garden what this blog has helped me do for reading and writing – developing (an almost) daily practice. 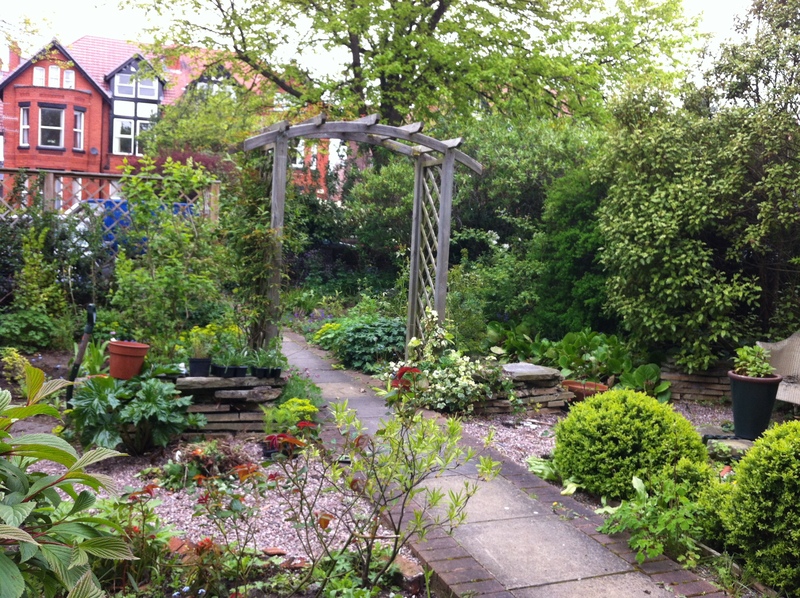 My poor garden, love it as I do, suffers from lack of my loving time and attention – I’m so intermittent! But seeing those borders – the art of horticulture at the height of energetic excellence – hugely encouraged me. I don’t expect Jonathan Peach got out for a walk during the day, but if he had, he’d have seen something being brilliant, made by the brilliance of a very dedicated team: I saw lots of staff and volunteers working. But I also thought about the people I couldn’t see right now – the planners and plantsmen and women, the marketeers and accountants, the cleaners, who had made ‘Kew’ happen. The Walk was big enough not to seem busy, but there were plenty of visitors at 10.10am. Gorgeous to see how many small children were enjoying the flowers. I loved the plans/180 drawings that allowed me to read the names of everything in each section of the border. I imagined someone working on the plans and later when Jonathan spoke about ‘right to left’ thinking, I remembered those plans. I remembered in my early twenties reading a short story by Virginia Woolf, ‘Kew Gardens’. You’ll find it here. I remembered the blank puzzlement the story provoked, and when I reread it this morning, I felt some of that again. I read everything Virginia Woolf ever wrote in my early twenties – she was a woman writer! I wanted a role model! But she was so posh! I don’t know if I realised that at the time, how class-bound she was… how far-off and other-world. She was writing about worlds I had never imagined, never seen. Kew Gardens! And those people strolling. Somehow this connects to the odd sense of relief I had when I visited D.H. Lawrence’s childhood home in Bestwood – the two up two down terrace was just like the house my grandparents had lived in, at Eldon Terrace, Neston. I can remember a strong feeling of connection – he knows about my life. Not a feeling I usually seek in literature – at least not in that top level way, we worethe same boots kind of way. This is something to think about another day. In the oval flower bed the snail, whose shell had been stained red, blue, and yellow for the space of two minutes or so, now appeared to be moving very slightly in its shell, and next began to labour over the crumbs of loose earth which broke away and rolled down as it passed over them. It appeared to have a definite goal in front of it, differing in this respect from the singular high stepping angular green insect who attempted to cross in front of it, and waited for a second with its antennæ trembling as if in deliberation, and then stepped off as rapidly and strangely in the opposite direction. Brown cliffs with deep green lakes in the hollows, flat, blade-like trees that waved from root to tip, round boulders of grey stone, vast crumpled surfaces of a thin crackling texture–all these objects lay across the snail’s progress between one stalk and another to his goal. Before he had decided whether to circumvent the arched tent of a dead leaf or to breast it there came past the bed the feet of other human beings. If a library houses books, what kind of building makes a home for readers? Since visiting Thoronet Abbeye, a ruined Cistercian Monastery in France, I have become mildly obsessed with the idea of a building providing form for, holding, a way of life. Of course we all do this all the time in the décor of our own homes, which, however much or little we think about them, reflect who and what we are and how we live. My study is a mess because I hardly use it, simply rushing in and out, dumping things and scrabbling for stuff I can’t find. Before the advent of The Reader Organisation, when I used it all the time for writing, it was better (usually). Thoronet, built in the 12th or 13th century, creates spirit from stone or stone from spirit (wouldn’t Russell Hoban have loved that? Read his short story, Shwartz). The whole building is a musical instrument, a sort of acoustic amplifier creating a tremendous long echo, which the monks used as a discipline, developing within it a plainsong which was slow, harmonious, layered. An evening concert there, hearing and feeling the building at work was a mightily powerful experience. The abbey is fundamentally connected to its site, and is an exceptional example of spirituality and philosophy transformed into architecture. 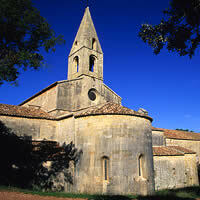 It is distinguished, like other Cistercian abbeys, by its purity, harmony, and lack of decoration or ornament. After the concert we went back by day to walk around the site and see the building in its physical setting. I was struck by how far from the world it feels even now, and how many more times further away from anywhere it must have been in the 12th century. People chose to come to this remote place, and to hack rock from the ground in order to build this instrument-building so that they might feel and sing and live in a certain way. The community they built here is an attempt to change, indeed to re-create the human world from scratch, in accordance with a set of beliefs. And I wondered, is everything we make like that? So, back home, thinking about buildings, I’m asking myself whether our public and institutional buildings reflect us in the same way? I look at McKinsey’s London offices and yes, that is McKinsey. Same for the British Gas Boardroom, where SBT invited The Reader Organisation’s Managing Director, Chris Catterall, and myself to pitch for investment. I look at NESTA’s home and I think to myself – yes, that’s more or less NESTA. I look at Springwood Heath Primary School and again, that is pretty much Springwood. Then I look at some other learning or idea or health institutions. I don’t want to name them. You will find them everywhere. But, oh dear. Is this poverty of spirit in our communal buildings about lack of money? I am remembering in my churlish way the utter quality of the toilet doors in Portcullis House, Westminster. Centuries of forests and thousands of public pounds went into them. Why do MPs and their admin teams deserve such superior shutters when patients in an inpatient mental health unit at Anyborough Hospital will have warping and wobbly-locked mdf closures? The toilet doors have in both cases been built and installed by belief as much as budget. Can you make something good out of not much, if you believe in what you are doing? If what you are doing is not ‘getting cheapest possible doors’ but ‘building a decently secured toilet’. Isn’t it about ethos as much as economy? As someone who has created patchwork quilts from scraps for the past 25 years, who has cooked a pan of Scouse out of what was in the kitchen that night and fed it to (my hero) Marilynne Robinson, who has furnished her homes from junk shops and auctions and Oxfam, of course I’d say yes. You do it on a wing and a prayer, or by love, or in time and by being creative. You do it above all by believing you can do it and that it matters how you do it. 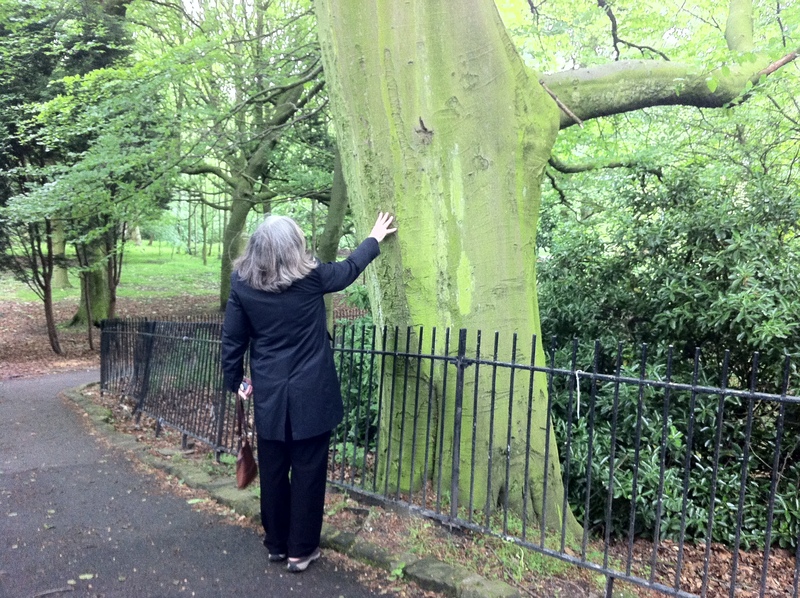 Marilynne Robinson touching a beech tree in Sefton Park the day I cooked Scouse for her. We are going to make a very lovely thing at Calderstones Mansion and a lot of it is going to be made out of belief. And if we were not The Reader Organisation, but any group of socially-minded enterprising people who had the opportunity re-making this place, would it still be a good idea to put reading at the heart of that project? We will be making a bistro and a shop, and a gallery, perhaps a dog walking service, a dance studio, certainly bedrooms for our residential courses and Reading Weekends, and we’ll be creating a venue on the Garden Stage, there will be a library and a second-hand bookshop, we’ll do weddings and we’ve already done a Christening and a Community lunch… and what, you might say, what does reading have to do with any of that? The enterprises we are going to make here are going to ensure the building is economically viable. Our first responsibility is to keep the roof on and the decay at bay. But if a reading billionaire* gave us thousands of millions of pounds, we’d still want to set up the enterprises because of the non-cash value they are going to create by providing interesting and useful volunteering and jobs. And then we’d want those volunteers and staff members to read together, because the biggest thing we want to make at Calderstones is a community, a community that holds all kinds of people and passions together. And what holds a people together ? Sharing stories. Until very recently, throughout human history, groups of people have held themselves together through a book – the Torah, the New Testament, the Koran. These religious books held and still hold bodies of stories and poetry and thought which define a people. Many types of human community have grown from these texts, from the Sufi circle to the parish church to the Cistercian monastery to the Blue Mosque. We are a plural organization – we have not one book but many. 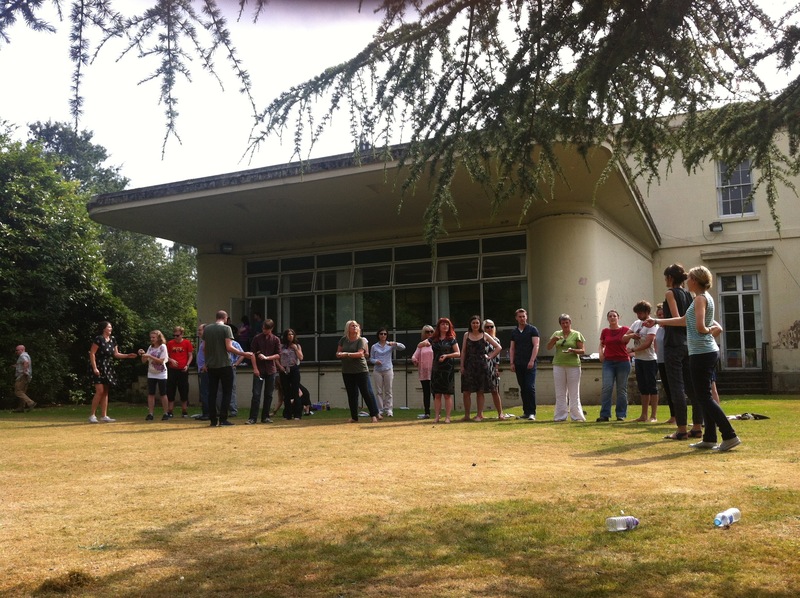 At The Reader Organisation all staff members run or attend a weekly shared reading group. We do this so that we never lose sight of the basis of our organizational existence: reading together. Recently I was at Calderstones Mansion House with the Friday morning group (part of a research project being conducted by colleagues at University of Liverpool, funded through the AHRC). We were reading the extract from Jane Eyre in my old friend Angie Macmillan’s anthology A Little Aloud. We spent two hours reading and talking about half a dozen pages. I completely forgot about my pressing and complicated work as Director of this organisation – it was like living in another medium, another universe, for two hours, free of gravity and diving deep into language, meditating on the ranges and possibilities of meanings with my reading companions, drawing on our own life-forged understandings. That is an intimate experience to share with a group of people. It’s about expressing and hammering out personal belief, in concert with others. This is why we believe at The Reader that shared reading is community glue. Slow book talk, deep language talk, over long time, let us know each other. 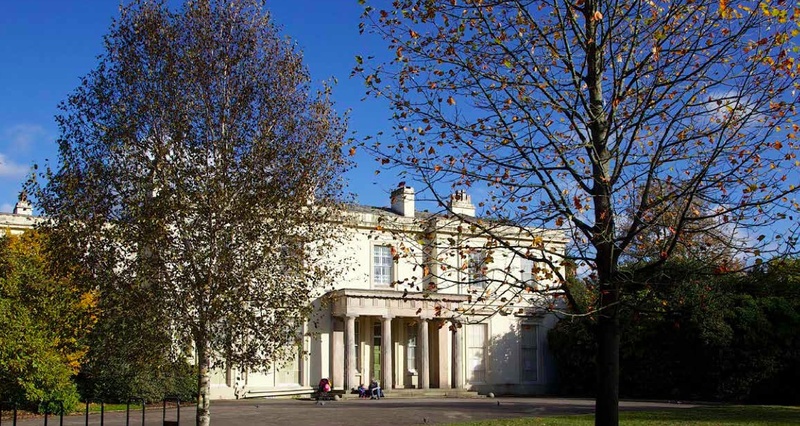 What we want to make at Calderstones is a model of a reading community, where whatever else is going on, people will be connected by a huge body of reading experiences. Let the building have many bookshelves, reading corners, kindle power sockets. Let it be a Thoronet for readers. I’ve just stopped gardening after two and half hours because though there is still masses to do and I’m really enjoying myself, I want to learn from my mentor, The Nellibobs, who has been gardening all week and given himself an excrutiating backache. ‘Genius,’ Thomas Carlyle wrote, ‘is an infinite capacity for taking pains.’ Nellibobs is undoubtedly a genius in many aspects of life but there’s no genius in the area called ‘being sensible’, nor ‘opening his mail’. Not house repairs, either. No, nor social life except for Friday Nights. He’s limited himself severely, in order to go deep into the areas which really (X) him. But what does (X) stand for? Shall we say Excite? Obsess? Move? Genius areas for the Nellibobs are: his dog, Argy, his reading life, his habits and routines, smoking, his Su Doku (at one point, they reached 150+ per week. He limits it now to about 80), his teaching, a little gardening, and his Friday Nights. That may seem constrained until you know how much he reads, how much goes into his teaching. You can follow Nellibobs or someone very like him on Twitter @nellibobsfriday (he only Tweets on Fridays). I was thinking of all this while reading Walter Isaacson’s fine biography of Steve Jobs. I know there are lots of things to be said against both Steve Jobs and Apple, but there was genius there and it did manifest itself in that infinite capacity way. For anyone trying to get something done in the world, there’s a lot to learn from that book. And I have also been thinking of Richard Feynman as I watched two programmes about him on TV this week. Wacky, playful and fuelled by (X) Feynman said, as many of the greats do, that the most important thing in life is love. I wonder how that connects to the infinite capacity for taking pains, which is a sort of love, isn’t it? Yet we are creatures of the finite and to reach the infinite there are often terrible costs, as the Jobs story shows. Obsession, single-mindedness, demanded a sort of inhumanity, which in Jobs’ case was not often mitigated by love, though Isaacson makes a case for the occasional glimmer. At the end of the book, Isaacson wonders if Steve had to be so unkind, so rough, so mean with people. “This is who I am, and you can’t expect me to be someone I’m not,” he replied when I asked him the question. But I think he actually could have controlled himself, if he had wanted. When he hurt people, it was not because he was lacking in emotional awareness. quite the contrary: He could size people up, understand their inner thoughts, and know how to relate to them, cajole them, or hurt them at will. The nasty edge to his personality was not necessary. It hindered him more than it helped him. But it did,at times, serve a purpose. Polite and velvety leaders, who take care to avoid bruising others, are generally not as effective at forcing change. Dozens of the colleagues whom Jobs most abused ended their litany of horror stories by saying he got them to do things they never dreamed possible. And he created a corporation crammed with A players. As a leader of an ambitious Social Enterprise, which currently employs 70+ staff, I had to keep considering the cost of Steve Jobs’ genius. Most large human organisations, from the teams that built the pyramids onwards, have been Army-model organisations. Many of them have a ‘nasty edge’ when necessary and that is how they keep control and make sure that what they want to happen gets to happen. Command and control structures may be a good way to do battle, or build pyramids, or spread the Church, or create iphones. But we need new organisational shapes now, to do other things, such as liberate human potential, grow creativity, develop empathy. As an organisational model, I like ‘orchestra’, each person doing their genius thing, but sharing a score and conducted into one voice. And I like ‘garden’ where each plant gets the right space it needs to fully become itself and yet they all work together to create a whole experience. But there is a big ask here. In both these models so much more is asked of the individual than in ‘command and control’ and that ask is about becoming your genius. It’s as if I want an organisational shape that’s like a book, where each poem or story has brought itself to be, but the whole thing fits together as one. The problem then becomes recruitment, doesn’t it? How do you recruit people who come with their own discipline? How do I even have my own? Could you have a world of Feynmen? I’d like to try. And one of the keys there seemed to be play. Or pleasure. Which is why I’m going back out the garden now while there is still time. Ah, Nellibobs, your backache beckons.